Bright modern double in a professional flat! Hi! We are a super fun and easy going couple. I'm Spanish, from Tenerife in the Canary Islands. My boyfriend, Simon, is American, from Wisconsin! 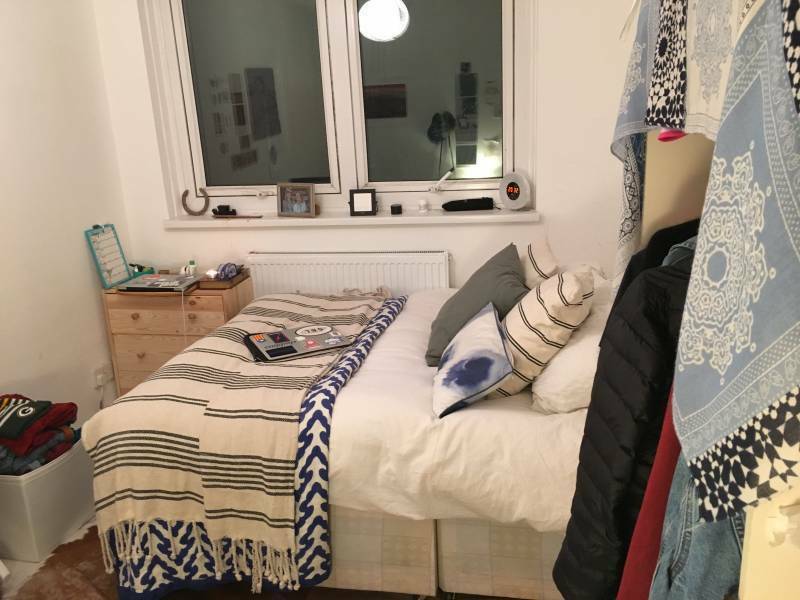 Our living arrangements have changed and we are looking for a double bedroom in east london (Mile end or Bow Road definitely preferred). We are super clean, neat and organised. We both enjoy cooking, baking and generally making a house feel like a home. We're also really sociable, we've always enjoyed a drink at the pub or a nice sunday roast but we also like to respect our flatmate's space. Hi there, We're looking for someone to take our room from the 25th of February (we can be flexible). This is a fantastic airy double bedroom, suitable for single occupancy or couples at no extra cost! There is plenty of room for storage, lots of natural sunlight, fully furnished (and you can ask for extras if you need them such as a desk or extra wardrobe). The property is located a 2 minute walk from either Mile End or Bow Road stations, it sits inside a gated and quiet complex inhabited mostly by families! It's got a fully fitted spacious kitchen, two ovens, washing machine, fridge and freezer as well as plenty of storage space. There is also a small dining area and a reception space. The property has a big bathroom upstairs with a bathtub and heated towel rack, there is also a small toilet room downstairs. ALL BILLS ARE INCLUDED!